If you would like to learn more about any of the items on this site, or if you want to have something custom made; call, text or drop me a line below for a free quote. Check out my social galleries on Facebook or Instagram for more pictures. Not all critters are listed, if you don't see what your looking for just let me know. 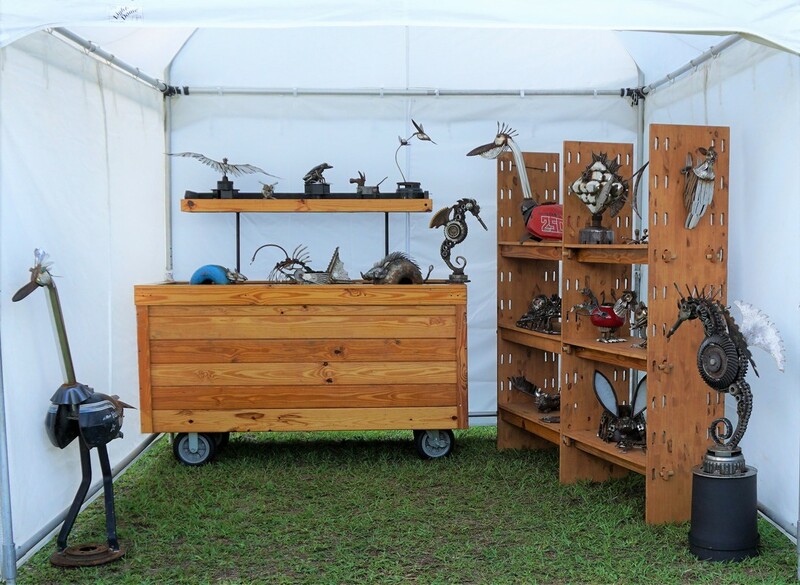 Here's a look at my Art festival booth. I'm usually at a show most weekends. Check out the blog page to see where were are today!